Florida is the perfect holiday destination for children aged from 4 to 84! 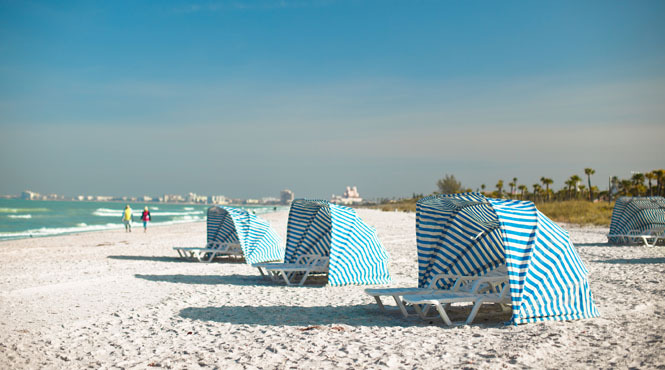 The Sunshine State offers plenty of that all important sunny weather as well as its famed theme parks centred around Orlando, fabulous beaches dotted around its 1,800 mile coastline, manicured golf courses, great shopping, glitzy nightlife and the fascinating natural beauty of the Everglades. Florida really does have something for everyone. 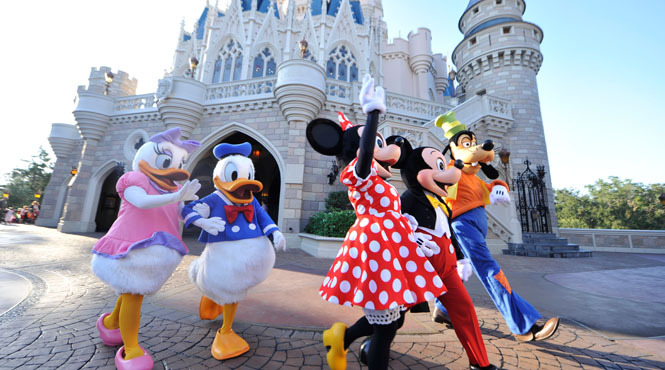 Located in central Florida Orlando boasts the largest collection of theme parks in the world, including Universal Orlando Resort™ and is the honeypot that draws most visitors to the state. It’s a captivating place of elaborate fantasy, thrill rides, characters galore and water parks ensuring there’s never a dull moment. Surrounded by water on three sides Florida is blessed with wonderful beaches to suit all tastes and budgets. 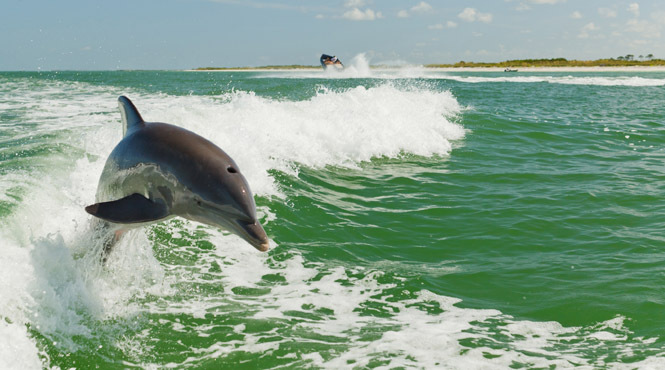 The Gulf of Mexico on Florida’s west coast is perfect for families with soft powdery sands and shallower warmer waters. 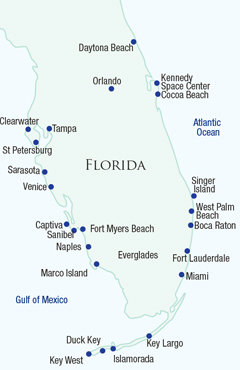 Resorts include popular St Petersburg and Clearwater Beach where you’ll find lots going on; travelling further south brings you to the more exclusive Sarasota and Longboat Key; sophisticated Naples with its superb beaches, boutiques and restaurants; charming Fort Myers and shell-laden Sanibel Island. The biggest city, though, is Tampa which has a thriving downtown, an historic old quarter and Busch Gardens® theme park. On Florida’s east coast lies St Augustine, the longest continually inhabited European-founded city in the United States, so why not visit and dive into more than four centuries of history. Florida’s Space Coast, located in east Central Florida, is just 45 minutes from Orlando and includes Cocoa Beach, known for its surfing. 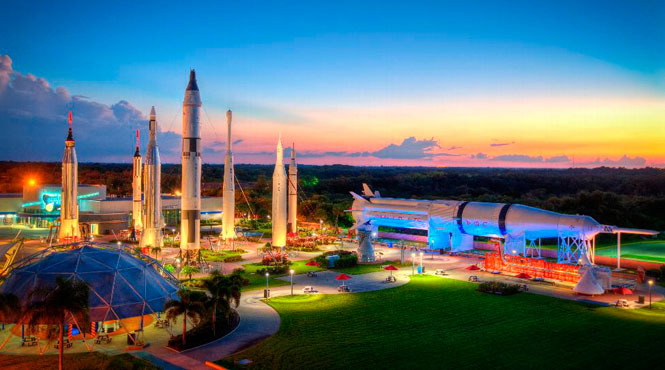 Also not to be missed is the Kennedy Space Center Visitor Complex, where you can experience the drama of spaceflight and if your timing is right, even watch a live launch! Further down the east is Florida’s Gold Coast with its wide expanses of sand and stronger surf thanks to the Atlantic Ocean, so perfect for surfing. Resorts include exclusive Palm Beach; fashionable Fort Lauderdale with its superb beaches and 165 miles of inland waterways; and Miami with its beautifully restored Art Deco district, superb 1930s architecture and world-famous South Beach. Continue south and you’ll reach the chain-link islands known as the Keys, which begin in Key Largo, lead to Islamorada and Marathon and finally reach Key West, the USA’s southernmost point. 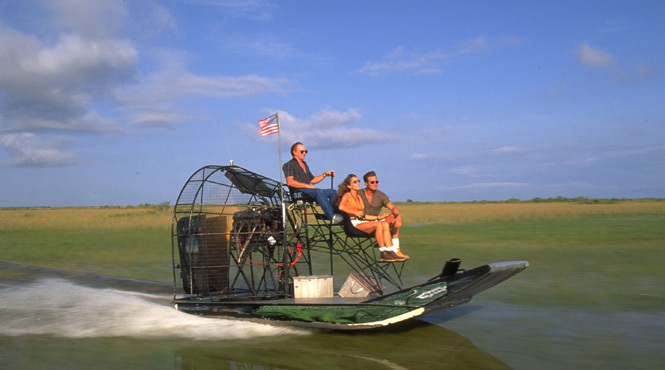 Let’s not forget the Everglades, a vast watery wilderness covering much of the Florida’s southern tip and home to over 350 species of birds, alligators, manatees, mangroves and more. Our vastly experienced travel advisors are passionate about Florida. With first-hand knowledge of when and where to go they can create the perfect holiday experience for you, at the best possible price. Flight duration: The flying time from the UK to Orlando is about 9 hours, while Tampa is approximately 9 hours 30 minutes and Miami 10 hours. 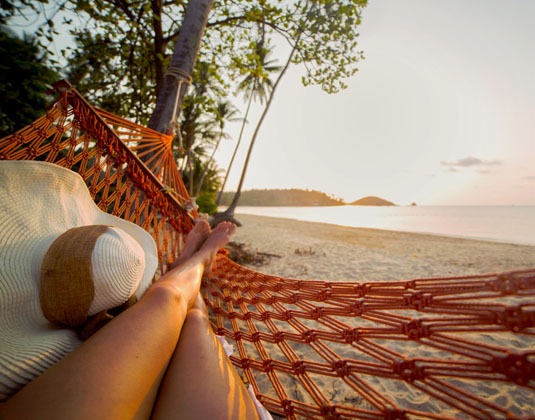 Best time to travel: The Sunshine State is very much a year round destination, however May-September can be very hot and particularly humid with temperatures rising above 35�C and short sharp downpours can be expected. Cooler, but very pleasant, weather runs from March to May and mid-October to late November. Perfect for some winter sun.